$5.00 Food and/or Drink Bonus Chips (BAR CHIPS) MUST BE TURNED IN THE DAY YOU GET THEM! When ordering food or beverages from the establishments, your waiter/waitress/bartender will give you a BAR Chip. Let your Tournament Director know you have these chips when they come around to collect them. 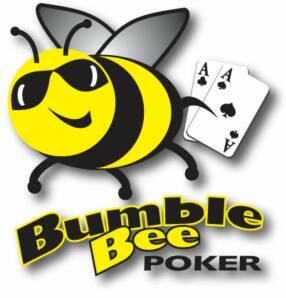 Bumble Bee counts these chips to track sales from the players each night. CHIPS MUST BE TURNED IN THE DAY YOU GET THEM. PLEASE NO SAVING BAR CHIPS! Let us know if you wish to celebrate your Birthday with us! to mark your date for your very own..
"END OF EACH MONTH - BONUS TOURNAMENT"
TOP 25 Players in Monthly Points qualify to compete in our Monthly CA$H Tournaments. Players with two or more Wins will also qualify to compete in the Monthly. The $5 Sign In Registration is a league supported donation that builds the monthly payout for each month. Invite a New Player and receive 5,000 in Bonus Chips and 20 Bonus Points for that night! 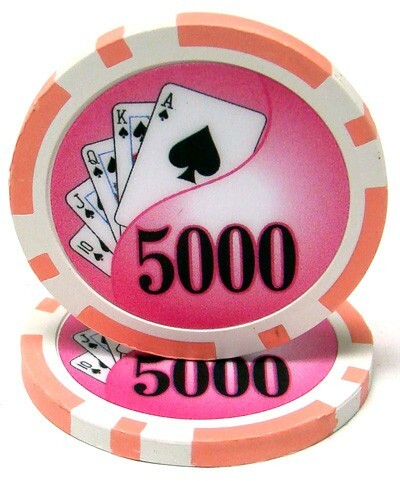 Invite a New Player and you will receive 5,000 Bonus Chips per New Player - No Limit! You the Invitor will also receive 20 Bonus Points per New Player - No Limit! Your New Guests will also receive 5,000 Bonus Chips and 20 Bonus Points! WHEN YOUR TOURNAMENT DIRECTORS MAKE A CALL OR FINAL RULING ON ANYTHING DURING A GAME - THERE WILL BE NO ARGUING - PERIOD! IF A PLAYER DISRUPTS A GAME WITH CONTINUED ARGUMENT - THAT PLAYER WILL BE ASKED TO LEAVE THE TABLES FOR THAT NIGHT. 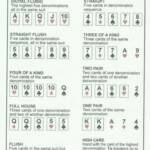 After hands are finished being played NO flipping over of next card to see what your hand could of been. "TABLE COURTESY DURING - BUYING A ROUND"
the maximum cost of a drink is $4.00 at ALL locations. Order what you are already drinking or not drinking. "WHILE THE CLOCK IS RUNNING"
When clock is running each table must remain active. We understand players need a break whether it be a smoke, bathroom or a phone call, but the remaining players at the table should continue to play. It is not fair to other tables to stop play when blinds are going up. "DON'T BE LATE FOR MONTHLY"
Assigned seating cards are handed out 15 minutes prior to start, be there before the last card is handed out. 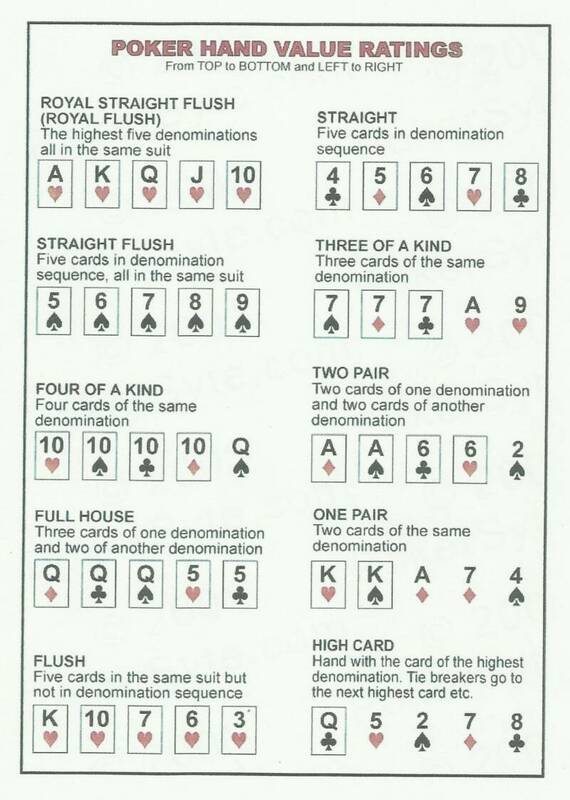 'The Dealer' in each hand dealt, is to be the 'Only Player' with his or her hand touching the Chips in play! otherwise the bottom cards don't get shuffled in! exposed so everyone can see each card has been burned. ALL OPEN BAR TABS MUST BE SECURED WITH CREDIT CARD - TABS MUST BE PAID IN FULL BEFORE SITTING DOWN AT FINAL TABLE! 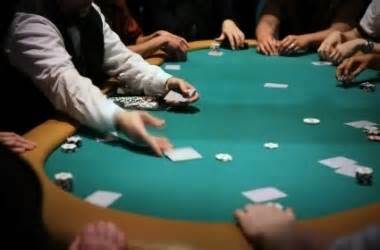 "OWED BAR CHIPS vs. ALL IN"
If your server still owes you a BAR CHIP(s) and you raise or call an ALL IN Hand... the owed BAR CHIP(s) are to be INCLUDED in that play. ALL owed BAR CHIPS are IN PLAY during an ALL IN HAND and are to be played as your total chip count against your opponent's total chip count. "NO DIGGING IN THE MUCK"
to play in the Monthly. like the rest of the players. plus tips for their professional service! "CONSECUTIVE DAY TO DAY PLAY BONUS"
Receive a 1000 Bonus Chip each consecutive day you play from beginning of the month to the end. "EACH TIME YOU KNOCK OUT A PLAYER"
Receive a 1000 Bonus Chip each time you knock out another player. 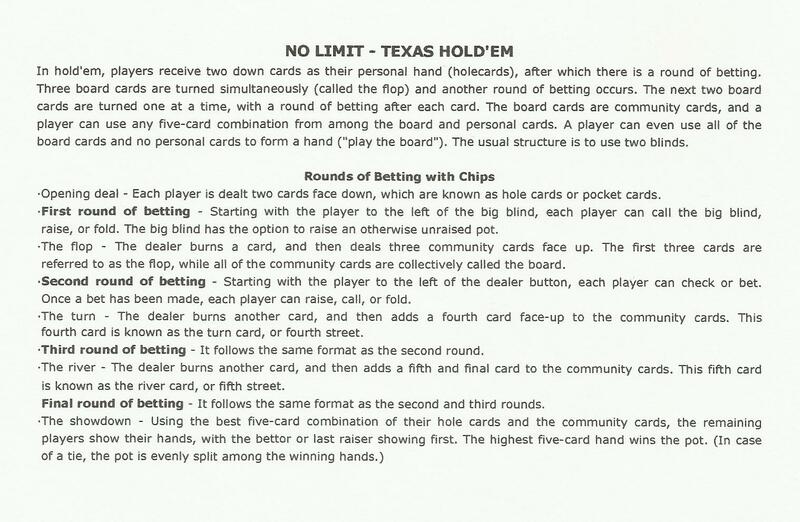 (No Limit) Not at Final Table. It is players responsibility to let the TD know each time. "SHOWING YOUR HAND TO ANOTHER PLAYER"
Show your hand to anyone - Your Hand is Dead!
" LEAVING EARLY/ABSENT PLAYERS "
First One Hour Break will be maximum of "15 Minutes"
"RUNNING LATE FOR THE GAME"
late for a game. Simply ask to be blinded out. It's understandable in the heat of the moment when your opponent calls your ALL IN with a ridiculous hand and ends up sucking out on you! But an unpaid bar tab that you knowingly walk out on is disrespect to the venue and the league. if this is not done, then we will assume this to be complete disrespect to us and you will be charged a $10 service fee. You will not be allowed to play again until entire balance is paid. Have a Nice Day! WILL COST THE PLAYER "OUT OF PLAY" FOR "ONE COMPLETE ORBIT OF THE TABLE"
PRIOR TO SITTING DOWN AT FINAL TABLE! TD's are exempt when working. to make a decision or hand is dead. to Buy a Round to get back in. will be banned from league! ​ "IF YOU GET KNOCKED OUT - YOU CAN REBUY"
​ "IF YOU STILL HAVE CHIPS - YOU CAN "ADD ON"
1,000 Chips per $1 of the cost of round... Plus Bar Chips!